In a parking lot on a card table before a rusty pickup truck. Nestled beside zucchini logs and onion bundles. Spilling from a flimsy wooden box. Green apple, roasted pineapple flesh. New ritual for the summer pre-meal ceremonies. 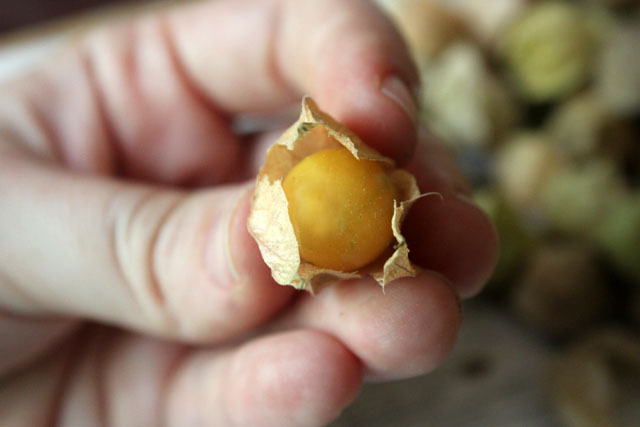 Shucking corn, snapping beans, unwrapping ground cherries. Beautiful. Love the colours in the photos – I’ve not seen these green before. 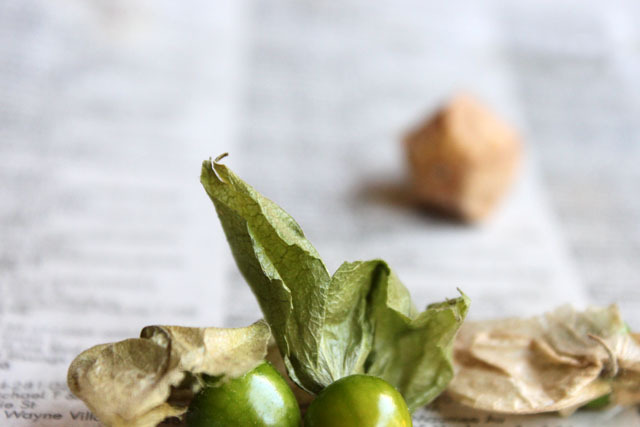 In south african we call your ground cherries ‘cape gooseberries’. I love them! Like your post about them! Thanks! 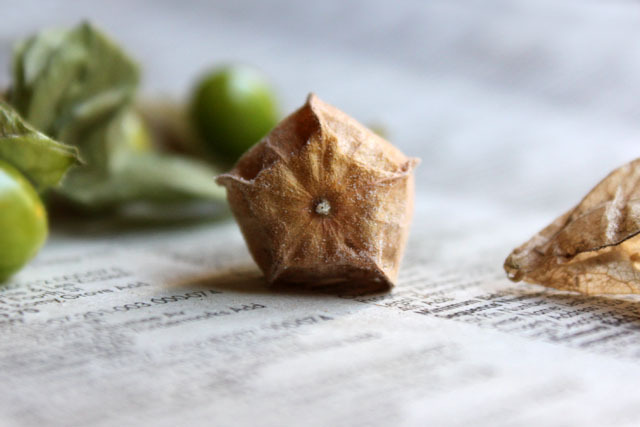 I like thinking of those little berries wearing their capes! Thanks, William 🙂 Glad you liked the post. 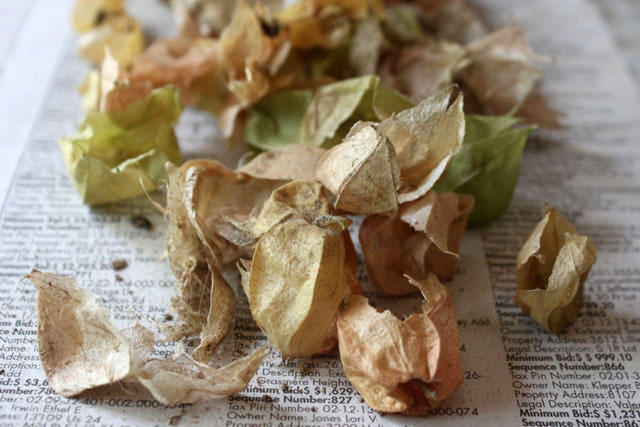 …or appelliefies (in afrikaans). Such a cute name. APPELLIEFIES!!! I totally agree on the cuteness of that! 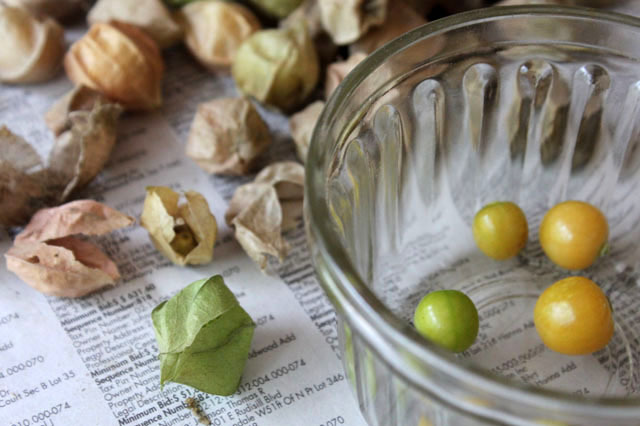 Haven’t thought about ground cherries for about 30 years–thanks for bringing back memories! Lovely post. What will you do with them? Thank you! I munched a few and then baked them in a pie. I only managed a few pictures, but I’ll post them shortly (the pie is now just a yummy memory). We see it (looks good)- thanks!